if you want to compete in 2018, you need a website – even if you operate locally. But what to do if you are not sure if you can afford it? Especially that the price of one can range from a few hundred to several thousand dollars? The good news is, you can get a fully functioning website that will appeal to your audience without having to spend thousands on it – as long as you are smart about it. In order to get a site for a fraction of what a professional web design studio would quote you, you need to plan the whole process well. Know what functionalities you need on the site and forecast your expenses wisely. For example, if you want to create an online store (these are usually priced premium if you were to ask a professional), look at what your competitors are doing and list all the functions that you would like to implement at your store. At the same time, keep in mind that you most likely don’t need all the fancy addons right from the start. And, if you are just starting out, it’s better to start simple anyway and test your strategy and products. That way you’ll know whether your idea has any potential before you reach deep into your pockets. Plus, if your website starts selling products or services quickly, you will be able to reinvest a part of your revenue into it and test new features. The good news is, the investment doesn’t necessarily have to stretch your budget. Remember the website functionalities that I’ve asked you to list earlier? The good news is, you can most likely implement the majority of them (unless you come up with something very extravagant) without ever writing a single line of code. As long as you use WordPress. What is it? WordPress is the most popular content management system which allows you to add posts, create pages, edit the design of your site and add numerous great features to it with just a few clicks of a button. All that thanks to its large community, members of which have created hundreds of plugins which make implementing even advanced functionalities easy. And the best about it is that it’s free (although many of the plugins come at a one-off or recurring fee). Now that you’re using WordPress for the framework of your site, it’s time to talk about the graphics. Luckily if you happen to be in a niche that has a lot of images on websites such as Pixabay or Pexels, you can get really good graphics at no cost – and no link back to the author is needed (although appreciated). And what if you can’t find any good graphics there or on the other free stock sites? If that’s the case, you will probably have to go to one of the paid stock photo providers. But make sure that you do your due diligence – pricing differences are quite high, and it’s possible to find some great bargains. To save even more, carefully list the images that you need to get before you sign up for any of the sites or even try signing up for their many trials. Graphics are one thing – but someone has to put the whole design of your site together. Thankfully, this doesn’t have to cost you hundreds of dollars either. All you need is a quality WordPress theme, which usually costs anywhere between $47-$67, not including bundles. Of course, there are also free themes. But I don’t recommend choosing any of them for two reasons. First, they are usually not as secure as their paid counterparts and second, they come with a lot fewer options, which means you would have to either pay others to help you configure them or spend your own time doing that. 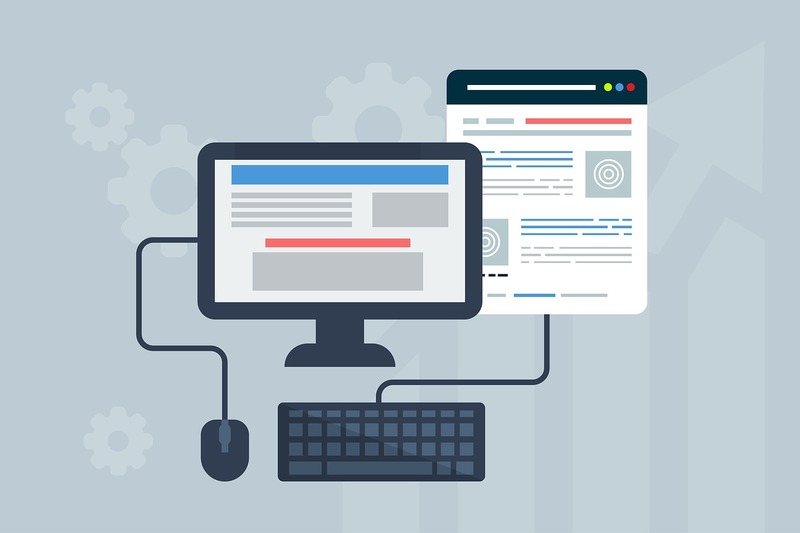 Even though thanks to all the plugins, themes, and many of the WordPress CMS built-in capabilities, you should be able to put together a great site on your own, you might still need a professional. For example, you might want someone to create a logo for you or to install and configure the plugins so that all of their features work properly. In this case, you can use websites such as Fiverr to hire independent contractors to perform just one or a few particular tasks. This saves you a lot on web design fees (as you pay only for the job done, and unless you outsource the whole design, you won’t spend much). And if you want to save even more money, you can hire foreign freelancers or even students. Just make sure that you don’t go too low on the price as that could compromise the quality of the service received. Designing a website is one thing. But you also need to host it somewhere, don’t you? When it comes to savings, probably the first thing that comes to mind is getting a reliable, inexpensive, shared hosting package. And that’s a good idea. But there are some things which you can do to turn it into a great one. First, instead of paying for the hosting on a month-to-month basis, you’d save a lot more money if you paid for a year, two years or even three years upfront. Many providers give big rebates for those who decide to pick a long-term commitment, what could save you a lot of money down the road. And the second idea? Do your shopping during Black Friday! Signing up for an inexpensive hosting package is a good idea. Paying for several months upfront is an even better one. But what beats them all is getting a Black Friday web hosting deal. Only then can you save a massive 70% – 90% what leaves you extra hundreds of dollars. Not to mention that you could use the saved money to grow your business, get a professionally-designed logo or hire a VA who, in turn, could help you configure the site and test its functionalities, saving you lots of time. So, what are you waiting for? If you want to save big, start looking for the best deals right now!